UK: The Scottish government has injected another £1.5 million (€1.66 million) into the Carbon Trust's offshore wind accelerator (OWA) programme. The accelerator funds a range of projects "to explore potential opportunities" for offshore wind. "The Scottish Government's decision to invest a further £1.5 million into the OWA is a ringing endorsement of the great potential of this programme to help Scotland to utilise the full potential of offshore wind, and to ensure that we make it as affordable as possible," said Scotland's energy minister Paul Wheelhouse. It is the third time the Scottish Government has invested in the Carbon Trust. The latest installment follows a similar one made in June 2016. It also follows the investment of £6.4 million in July 2016, by nine offshore wind developers. In July 2014, the Scottish government pledged £2.2 million to the accelerator for the development of floating technology. 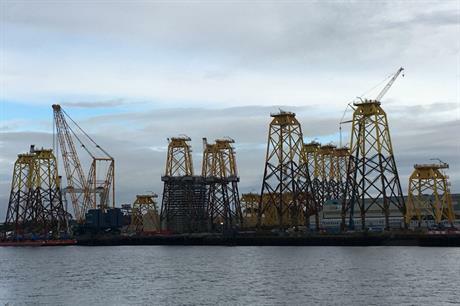 Scotland received its first floating turbine at Statoil's Hywind project last month. Lindsay Roberts, senior policy manager at Scottish Renewables, said: "Our first major offshore wind farm – the Beatrice project in the Moray Firth – is being constructed right now, alongside Statoil's world leading floating wind development Hywind, and Vattenfall's highly innovative European Offshore Wind Deployment Centre. A number of other exciting schemes are getting ready to progress along our east coast. "These funds will allow the Carbon Trust to explore the opportunities which offshore wind can offer and help make sure that Scotland reaps the maximum benefits from the sector's growth," she said.